Dassam is a changed form of word Da:song which means in mundari language the act of pouring water. Da: means water and song means pouring or measuring. The water fall resembles like somebody is pouring water so the name was Da:song earlier but afterwards the name was changed to Dassam. Since the people there speakes munda language, till now they says Da:song The Dassam Falls is a natural cascade across the Kanchi River, a tributary of the Subarnarekha River. The water falls from a height of 144 ft. The sound of water echoes all around the place. 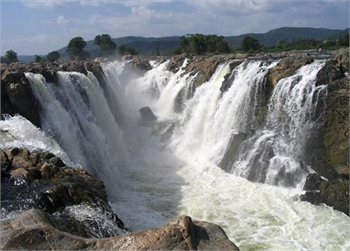 Dassam Falls at one of the edges of the Ranchi plateau is one of the many scarp falls in the region. The Dassam Falls is an example of a nick point caused by rejuvenation. Knick point, also called a nick point or simply nick, represents breaks in slopes in the longitudinal profile of a river caused by rejuvenation. The break in channel gradient allows water to fall vertically giving rise to a waterfall. The water of the Dassam Falls is very clean and clear. 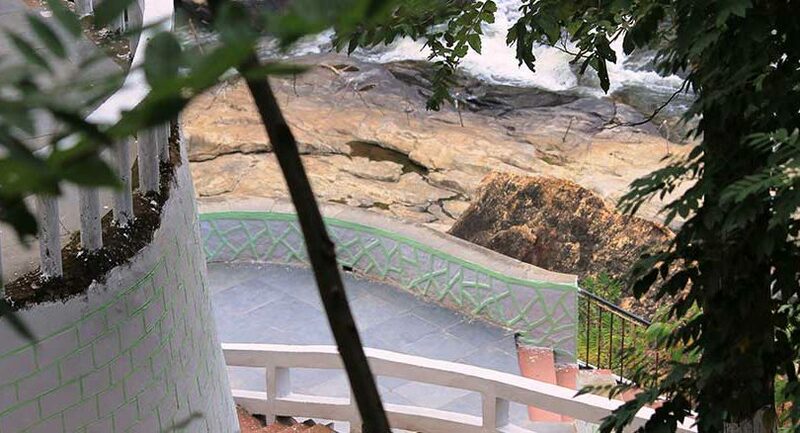 It is natural for a tourist to be enticed to enter the water for a bath or swim but tourists are warned not to do so because of the current that is generated. Copyright © 2019 Banabithi. Proudly powered by OneSolution.